I’ve been unusually excited for this movie. 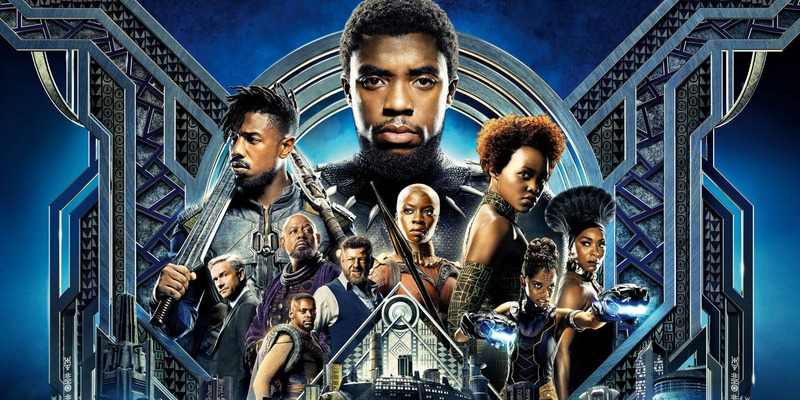 From the marketing to the raving reviews, everything about Black Panther had me hyped and I was exuberant when I saw the massive line in the theater. Movies are best experienced with a packed stage. Unfortunately, finally seeing one of the most anticipated Marvel movies of all time left me hungry for more. I know you shouldn’t believe the hype most of the time, but that’s the joy of going to the theaters in the first place. You want to be entertained from beginning to end, but Black Panther was relatively uneven in the fun department. Only two big action sequences existed in the film which was the highlight of the film. In my opinion, seeing the ensemble work together so dynamically was a blast to see and is worthy of the price of admission alone. Speaking of the ensemble, the characters were very likable. The main lead, T’Challa, the general of the warriors, and T’Challa’s sister had great chemistry in the movie. The cast is on par with Thor: Ragnarok at times. Killmonger had excellent character development and you even start to sympathize with him at the end. That’s great character design right there. His motivations were clear and even had to reason behind them. The political statements weren’t too heavy-handed. Most of the politics came from Killmonger alone and gives the audience pretty interesting questions. 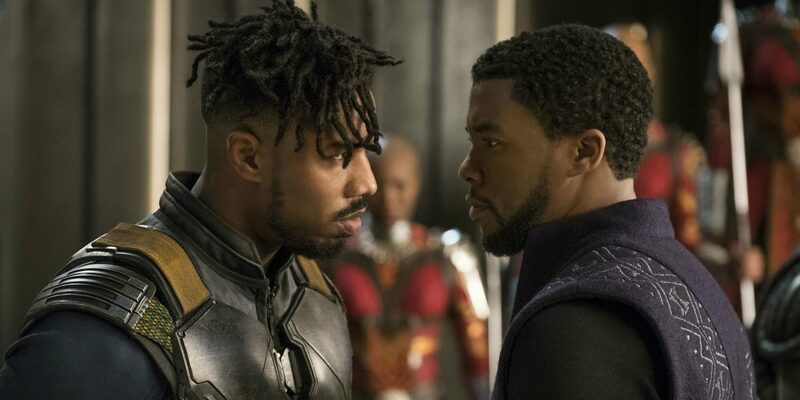 Killmonger isn’t as great as say Loki or the Winter Soldier, but he’s significantly better than a plethora of Marvel villains. I was generally disappointed with the musical score. Knowing that Kendrick Lamar and other artists worked on the score, you would expect to here more than just background music or drums during an overpowering orchestral piece and “All the Stars”, which Lamar released on YouTube, played during the credits. Oh, um, I guess those were spoilers if you really care about that. Ludwig Gorannson’s score was solid regardless of the lack of other artists. Definitely, something I would listen to again. The sound design was passable. Some sound effects were overused during fist fights. For the most part, the visuals were spectacular, with the exception of the occasional plastic-looking armored suits and apparent green screen. The setting is colorful and eye-catching and the cinematography deserves an Oscar nod. It seems like Marvel movies consistently improve on cinematography after every movie. Keep up the good work, Marvel. How was the story? Not quite what I expected, but it was still solid. I anticipated a bigger adventure that chased down Killmonger and his goons, but instead it was more of a “defend the homeland” story. 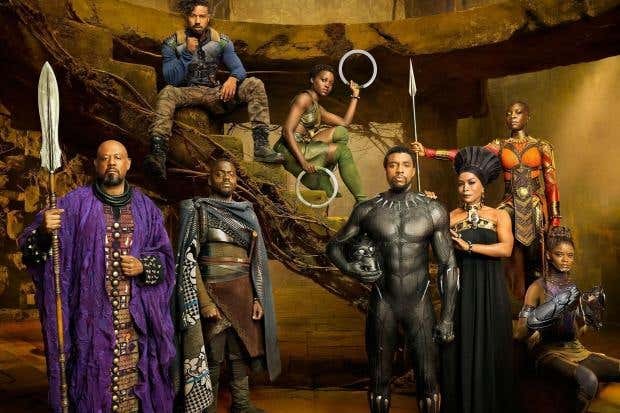 They did travel to Korea and stuff, but Wakanda is the setting for 80% of the film. I admired learning about Wakanda’s culture and seeing how they developed the technology. I would have preferred more explanation on the vibranium usage to power the city. It slowed down in parts of the second half and the acting wasn’t really top-tier. I understand their accents cause them to sound monotonous but when there is a lot of scenes of them talking, it starts to get a little boring. That only lasted 20 or so minutes thankfully. I liked the twists, but some of them came up so casually you don’t realize they were twists. I obviously won’t spoil it here, but when they were discussing Killmonger, the big twist about his background didn’t have any musical cue or sound effect when that twist was revealed. The character casually spilled the beans like it was nothing. That weakened the impact of the twist for me, regardless of how much it changes the plot. There has to be build-up, but it was treated like exposition. Again, the story is fine as it is, but there is some room for improvement. There are two post-credit scenes. One of them was already alluded to in the final scene while the other was a great post-credit scene building up Avengers 4. I guess since Black Panther’s not as comedic as Thor: Ragnarok, there wasn’t a ton of potential for multiple post-credit scenes, but that’s okay. Regardless of my issues, I still think Black Panther is worth your time. It’s a lot of fun, the characters are excellent, the universe is interesting, and the story is solid. It’s also great we have a good (with the exception of Blade 1) black superhero movie for kids to look up to and I’m sure some of these actors had their careers were jump-started by this movie. Not spectacular, but worthwhile and it definitely deserves a sequel. I’m giving Black Panther a 7.5/10.